Every girl wants to be a princess–like the perfect examples of young royalty–the Disney princesses. So what do you need to become a Disney princess? 1. A killer singing voice. 2. A mysterious prince charming. 3. A villain who wants you dead. 4. The noticeable lack of a mother. Snow White— no mom, just an evil step-mom who doubles as the villain, wanting her dead, of course. Cinderella— no mom, again, just an evil step-mom who hates her guts. Aurora from Sleeping Beauty— has a mom, but didn’t grow up with her, so still no real influence. And 3 fairies don’t count. Jasmine from Aladdin— no mom. Ariel from The Little Mermaid— no mom. Belle from Beauty and the Beast— no mom. Rapunzel from Tangled— has a mom, but like Sleeping Beauty, didn’t grow up with her. Instead she was raised by an evil witch. And I’m sorry, but I’m old school, so Mulan, Tiana and Pocahontas don’t really count as Disney princesses. Although I’d like to point out–Pocahontas–no mom. So, how would the stories have gone if these girls had had a mom actively involved in their lives? I’ll tell ya how–there would have been a heck of lot less drama, and Little Princess would have had to wait until an appropriate age to end up with P.C. (Prince Charming.) These girls might not have been so eager to seek out a man, and I doubt that many mamas would have put up with the shenanigans. Let’s take Ariel for example. How many mamas would have stood quietly by and let their 16 year old daughter give up her voice to chase down a man she hardly knows? And on land, no less. (Under ‘da sea, under ‘da sea…) I can imagine Ariel’s mama swimming after her, dragging her back to their coral castle and locking her up in a conch shell, at least until she could figure out what to do next. Belle– how many mamas would have allowed their daughter to trade her life for her father’s and become the prisoner of a hideous beast for all time? Her mama would have gone with her father on his journey, made him stop for directions, and they would have made it to the fair on time, thus avoiding the castle in the forest and snuffing out the entire story. The beast would still be there, beastly, waiting for that last petal to fall. Aurora– do you honestly think that her mama would have allowed her to end up Happily Ever After at the age of 16 with P.C.? Her mama actually tried to avoid the whole finger-pricking snafu by sending her to the forest to be raised by three fairies. Little Briar Rose might have been safer in the castle. Jasmine– Her mama would have been forced to, by law, make her daughter pick a suitor as a husband, thus ending the whole tomfoolery about choosing a man and Jas probably never would have jumped the wall to meet Aladdin. She would have helped with the search, scouring the known world until an acceptable man could be found. And she would have thrown Jafar in prison a long time ago. Cinderella– clearly this one, along with the story of Snow White, is self-explanatory. Had Mama been around, the evil step-mothers would not have existed, and the stories would have lost their villains and ended much differently. And Rapunzel. Rapunzel’s mama didn’t have a choice–her baby was stolen from her. Still, Rappie lacked that nurturing mother figure in her life, thus causing her to fall directly into the arms of the first man who scaled her tower (a thief, no less.) Good thing said thief mended his ways. I think that this little breakdown proves that the mother-daughter relationship is invaluable. In most cases, it is based on a strong bond and affects a person, namely a character in a story, in such a way that it would completely alter the outcome of any problem. 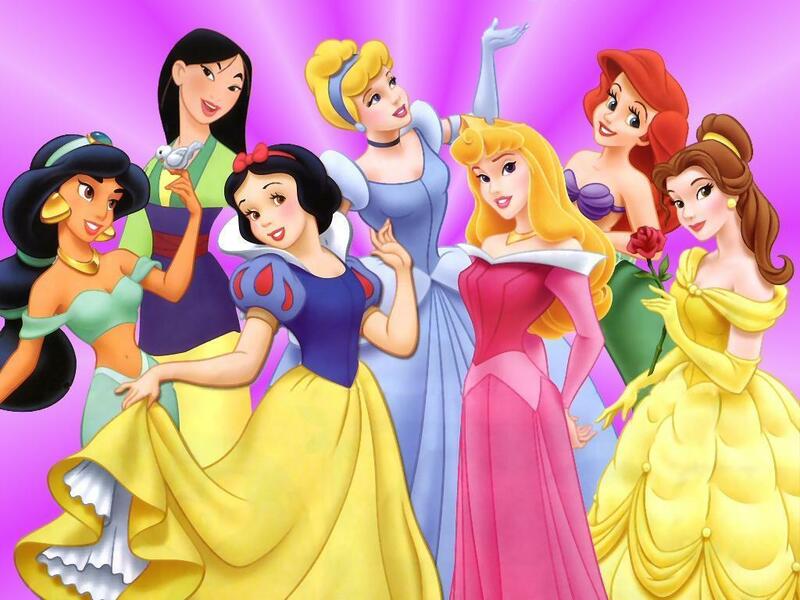 In a stressful situation, who would these princesses have turned to for advice? For compassion? For understanding? Mama, of course. Wisdom would have been imparted and guidance given (in some cases even discipline from Mama that the daddy’s girl wouldn’t elicit from the man wrapped around her little finger) and the endings to the stories would have been much different. In my current novel (the one I’m working on as you read) my main character, like the Princesses above, has lost her mother. Without that guiding force in her life, she’s veering wildly, making choices that wisdom might have prevented. It’s an interesting thing, the mother-daughter bond. In many cases it can make you or break you. Inspiration of the week: My mom is my best friend, and I’m blessed to have her in my life. She’s a listening ear, a compassionate heart, an adoring fan, and a loving friend. She’s also a wealth of wisdom and generous with her time. I love you, Mama! Share with me: How do you think the mother-daughter bond affects a story? What’s your relationship like with your own mom and how has it affected the choices you’ve made in your life? Wendy– Blogger must hate me. Thanks for remembering to stop by anyway!! :)Sarah- thanks for the tweet!Jeannie– thanks for pointing that out. lol. Oh, I smiled as I read this. I, too, have often thought: Where are all the mamas? whenever I watch Disney movies. (Even in Finding Nemo: no mama! But that blog post would have to be about the mother-son bond. )I absolutely agree that moms make a huge difference in their daughters lives — but those are tricky relationships, for sure. Well worth all the effort and prayer. I have three daughters and one daughter-in-love — and I treasure each relationship.